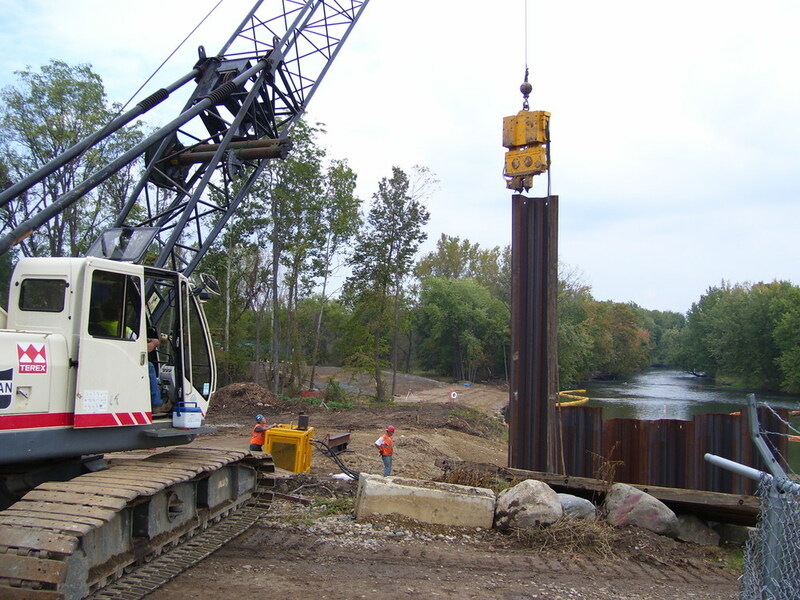 The Kalamazoo River Superfund Site, formally designated as the Allied Paper, Inc./Portage Creek / Kalamazoo River Superfund Site, is located in Kalamazoo and Allegan Counties in southwestern Michigan. 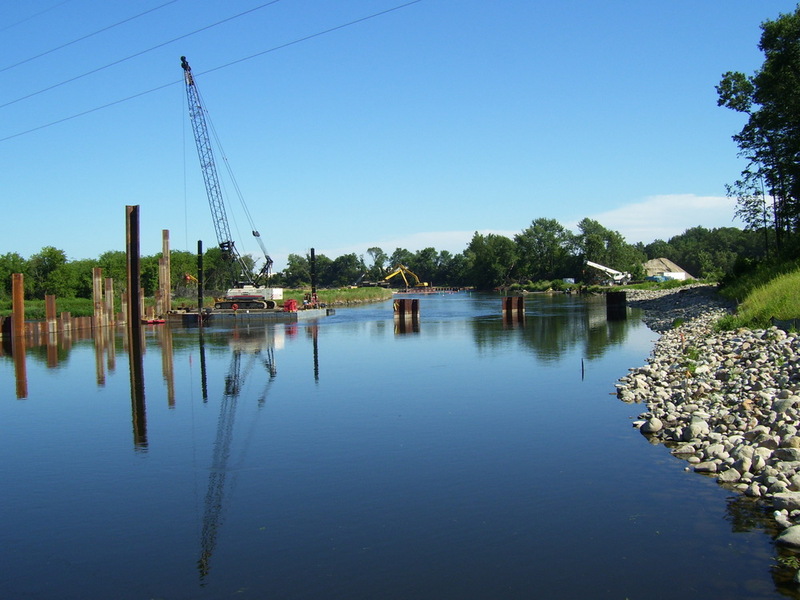 The area was designated a Superfund Site because of PCBs (polychlorinated biphenyls) in the river´s fish, sediment, and surface water. 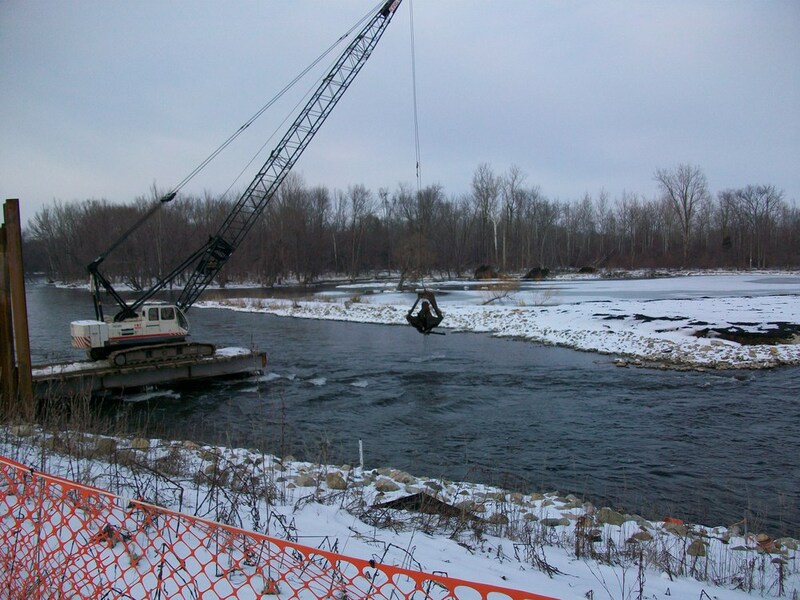 The USEPA determined that a Time-Critical Removal Action, TCRA, was necessary to address the presence of PCBs in the former Plainwell Impoundment, which is part of the Kalamazoo River Superfund Site. 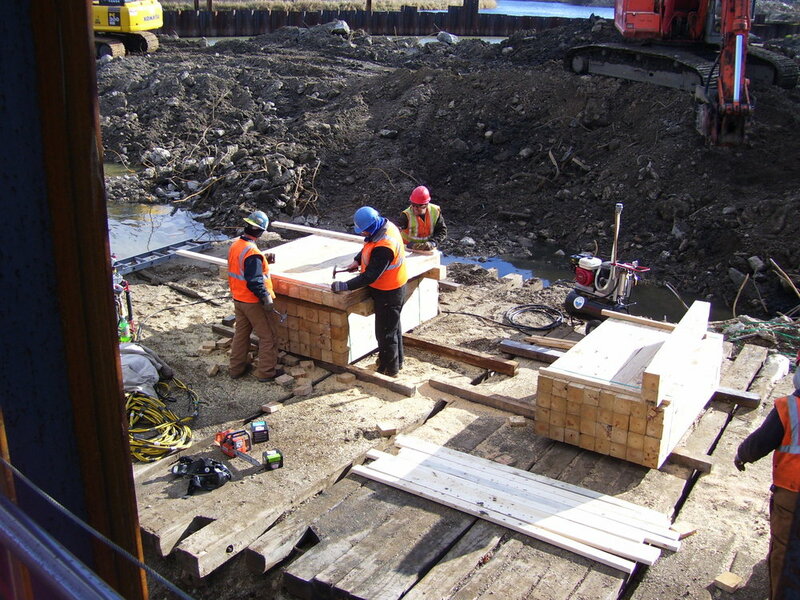 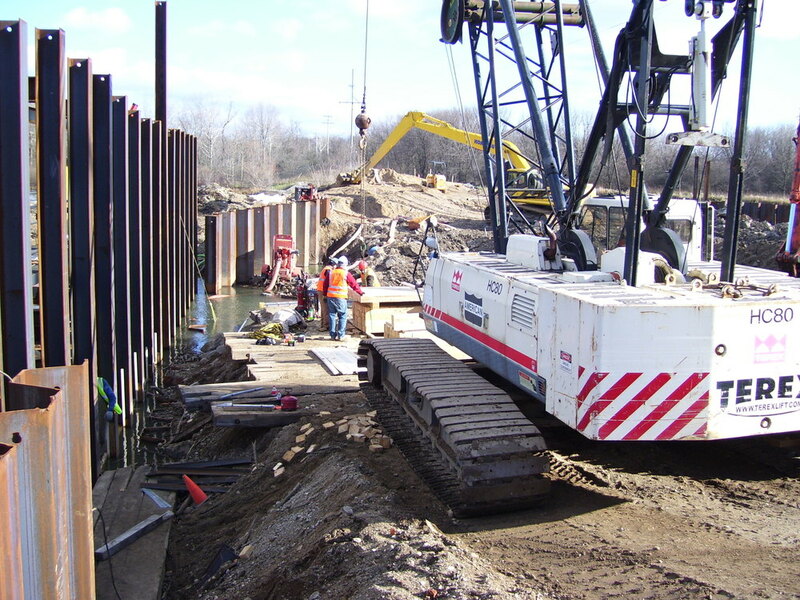 THE KING CO., INC. was selected by ARCADIS to design-build a cofferdam system to allow excavation of PCB's from the Kalamazoo River. 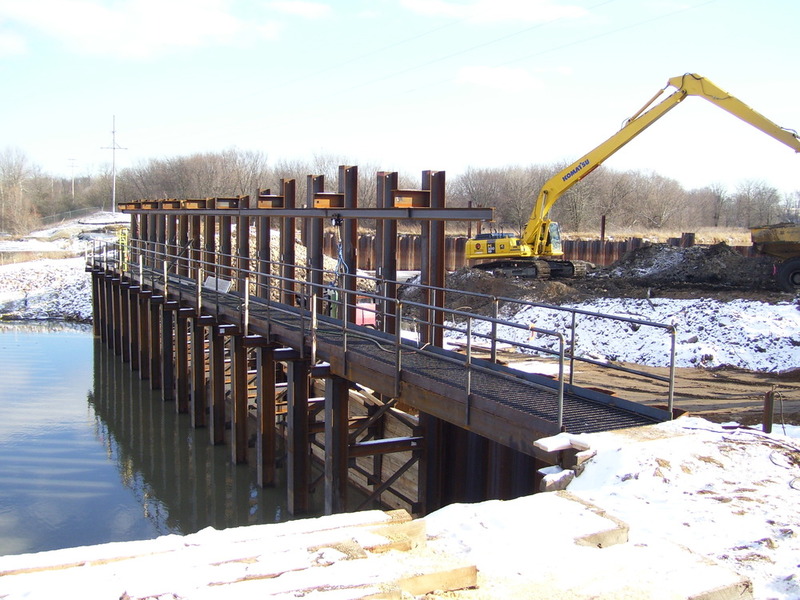 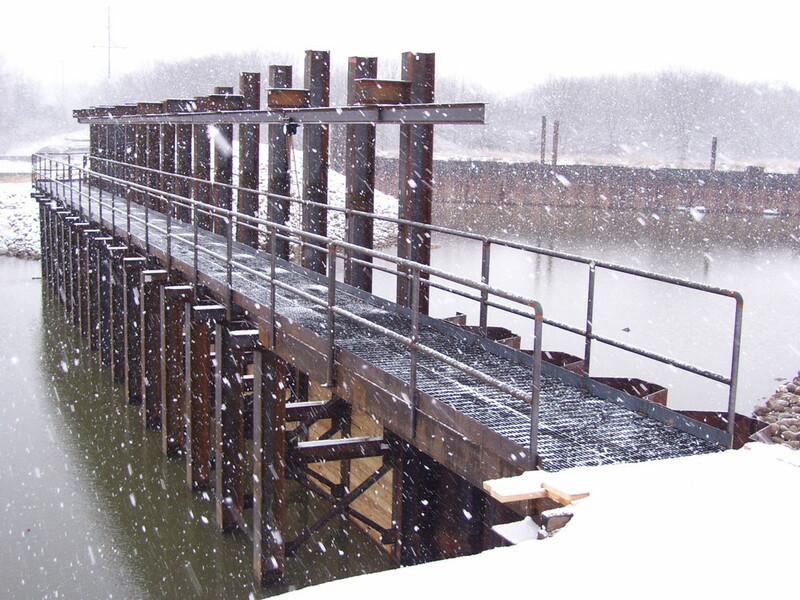 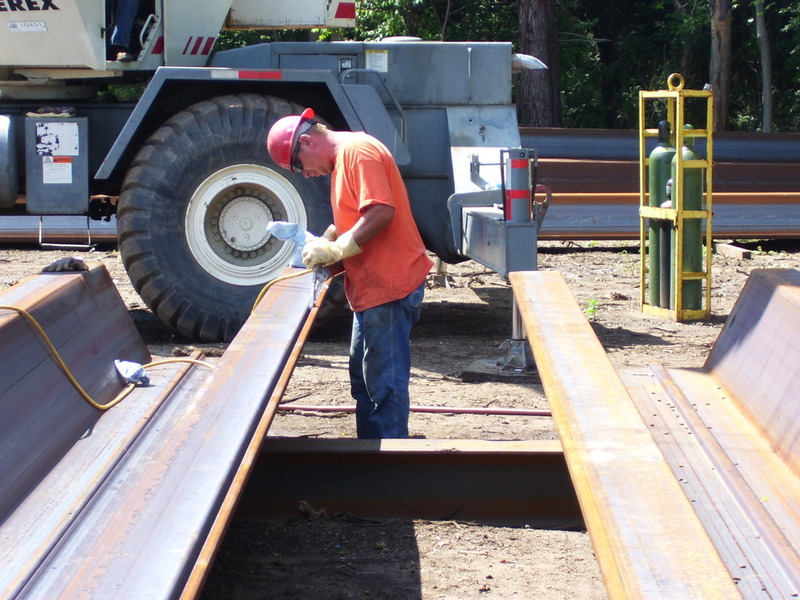 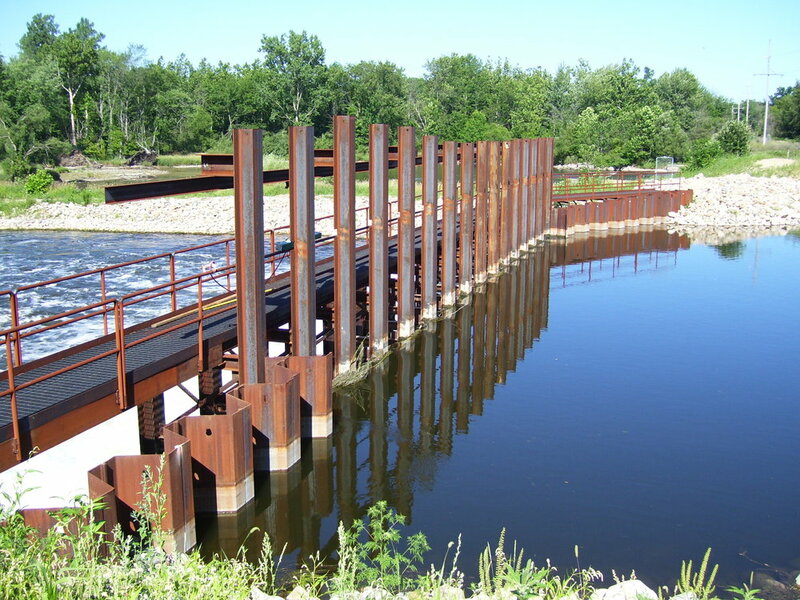 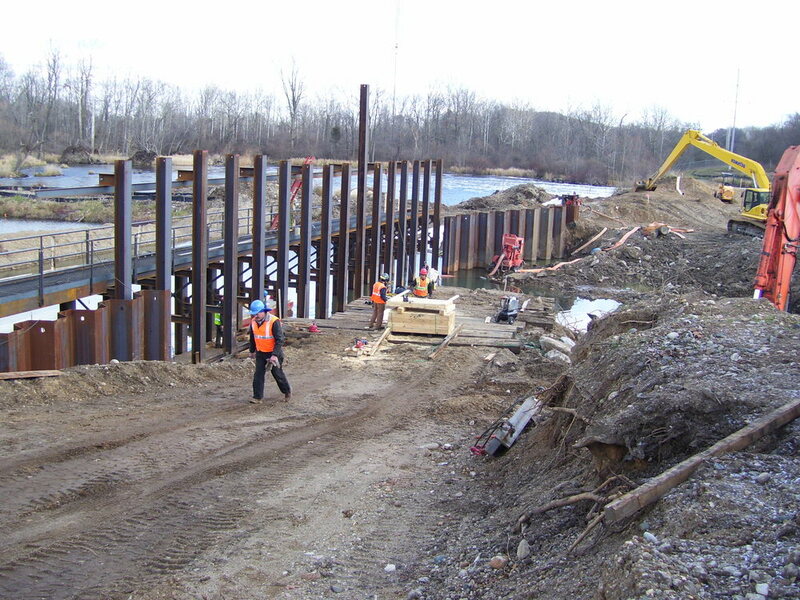 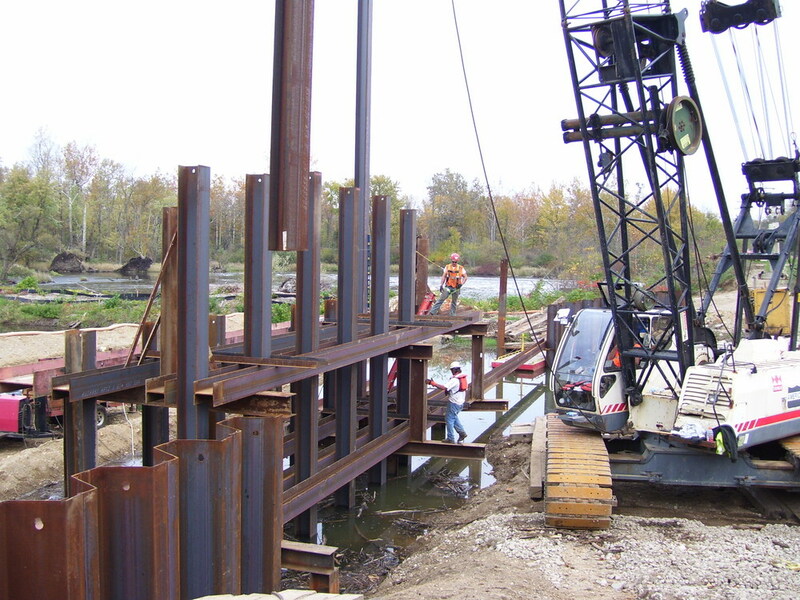 The scope of work included 1,200 linear feet of temporary steel sheet pile cofferdams, a temporary water control structure (similiar to a temporary dam), and install and remove temporary access roads and bridges over the Kalamazoo River. 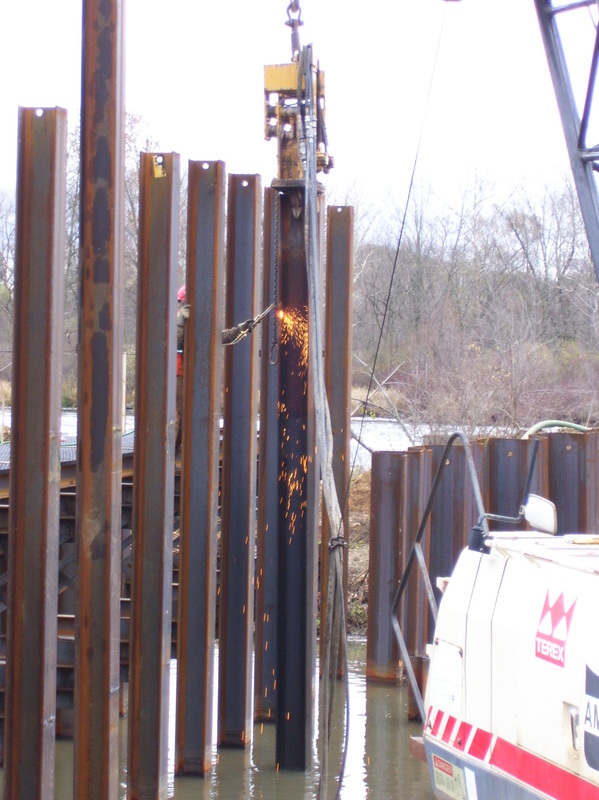 This type of removal action was performed as an accelerated cleanup approach that was implemented under certain circumstances. 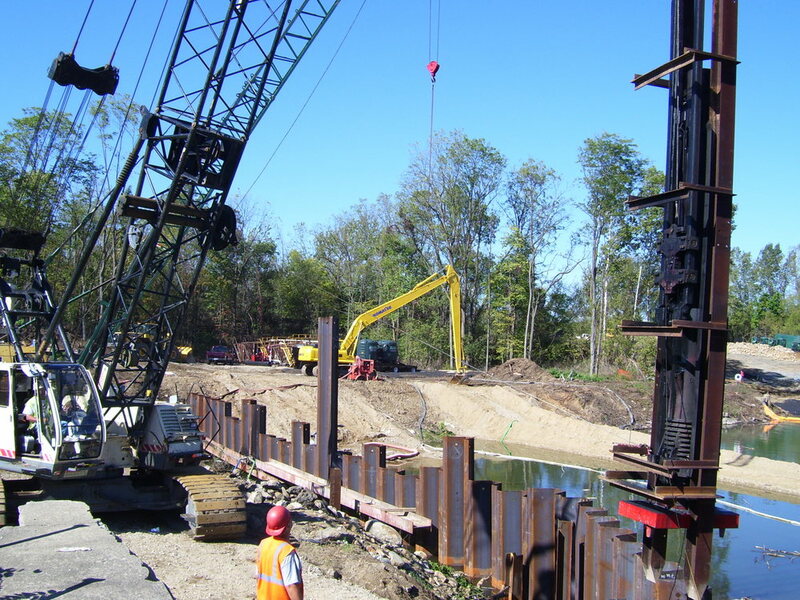 During the project, approximately 130,000 cubic yards of sediments and soils that contained the highest concentrations of PCBs within the former Plainwell Impoundment were excavated from areas that stretched across 27 acres. 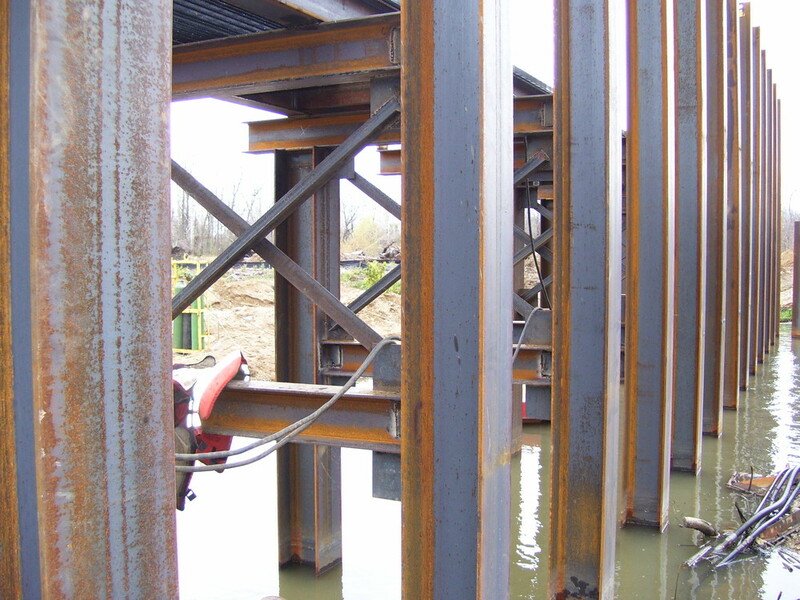 All work was performed under a tight schedule and came in under estimate.